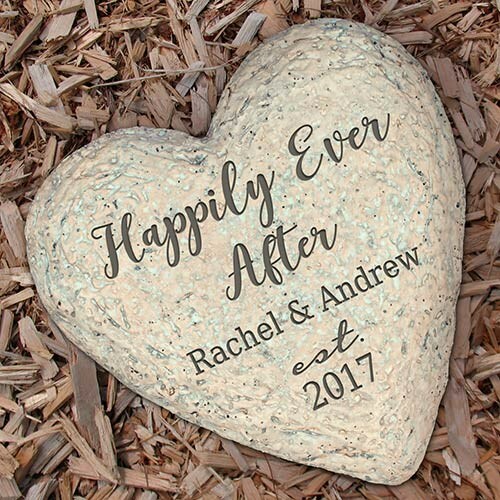 Personalized Happy Ever Wedding Heart Garden Stone. What make a home special? The garden decoration can bring beauty to any home garden. Wedding Garden Stone is a perfect way to remember your special day. With a Garden Stone you can really bring out your garden. Make your garden special with a keepsake Garden Stone.